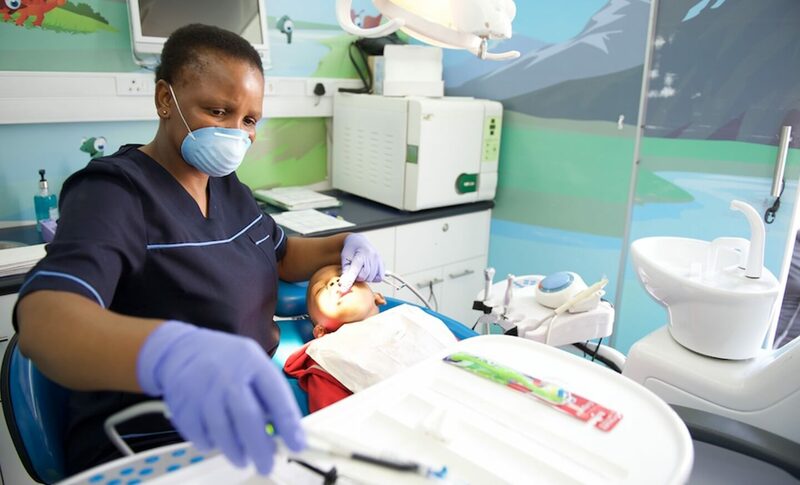 The need for mobile dental units has never been more apparent as recent studies indicate a great need for dental treatment and preventative services in underserved communities in southern Africa. Geographic inaccessibility, limited financial resources and the poor distribution of dental personnel are the main barriers to proper oral health care in Africa. Mobile dental clinics are the ideal solution to all communities, both rural and urban, that struggle with providing oral healthcare to the masses. The benefits of having mobile units on our roads is not only felt and appreciated by the patients treated but also by the entire community at large. Previously “unreachable” communities become reachable. Treatment of patients without taking them out of their comfort zone. Patients receive proper consultation and quality treatment from medical staff. The opportunity to locate patient bases is vast because of the clinic’s mobility. Community outreach programmes, factories, retirement communities, business parks, schools, or any other location with numerous employees or attendees is a possibility. Advanced equipment onboard, which increases efficiency. The mobile unit offers a hygienic environment for medical staff to work in and patients to be treated in. No need for patients to miss work or school due to long travel times associated with visiting the doctor or dentist. MST manufactures and manages mobile healthcare units and, to date, the company has provided numerous dental and medical examinations to children and adults throughout the country. Oral diseases are commonly occurring chronic diseases, affecting individuals and society, with a resultant impact on general health and wellbeing. With that being said, it makes sense to provide proper oral healthcare and provide the means to those communities who cannot access these services easily. For more information on mobile clinics and how you, or your company can become involved in providing these services to rural areas, get in touch here. Mobile dental clinics are the ideal solution to all communities.